The Use of Aromatherapy and Holistic Therapies has a very powerful role to play within and Early Years learning environment. The School Projects I have been involved with during the last 9 years have all shown the positive values of using aromatherapy and other holistic therapies within the learning environment. These school projects have all been specially tailored to the needs of the children. 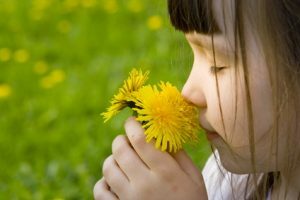 The use of Aromatherapy for children is both safe and beneficial allowing the child to use their sensory skills development to produce a creative learning environment, facilitating learning to the full. Essential oils can be selected to stimulate different parts of the brain, and can therefore stimulate learning different activities: number related, art related, cognitive and motor skills. Aromatherapy blends can therefore be very powerful in learning areas to create different environments: calming, stimulating or creative. The essential oils are administered by an aromastream or diffuser, this is an electric-based fan that sends the essential oils into the surrounding air. Aromastreams can be used in every classroom, learning space and sensory environment.